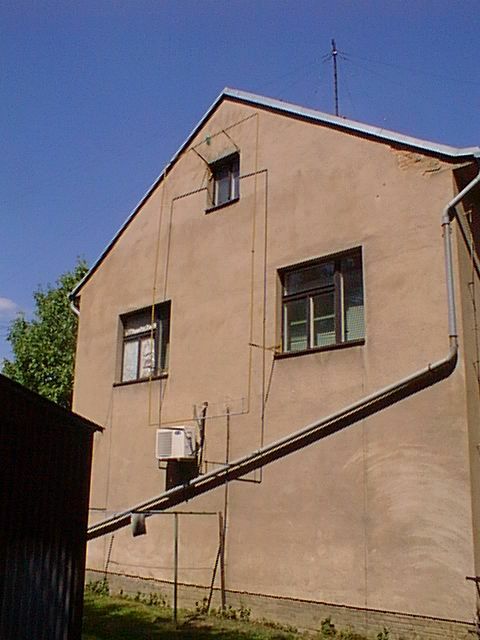 Historical 3.5MHz transmitter antenna on the front wall of the observatory building in Pruhonice. 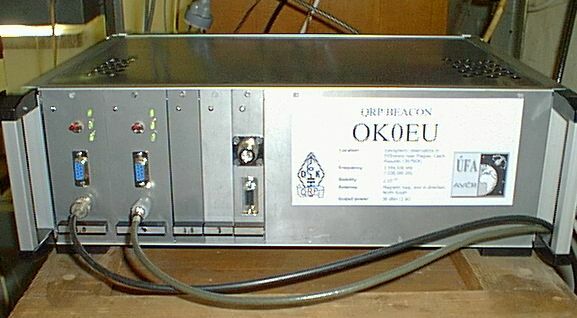 Since year 2005 a dipole is used. 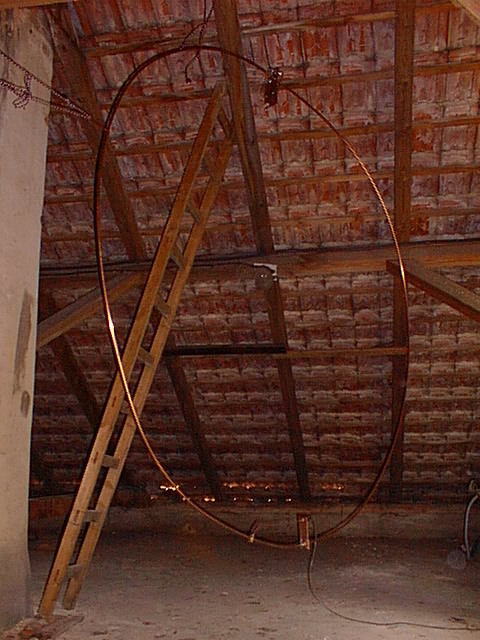 Historical 7MHz antenna located in the attic. 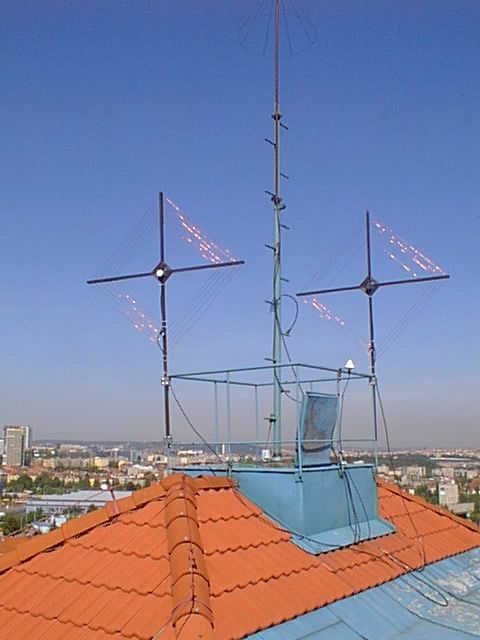 Historical receiving antennas on institute roof in Prague (QRB about 7km). 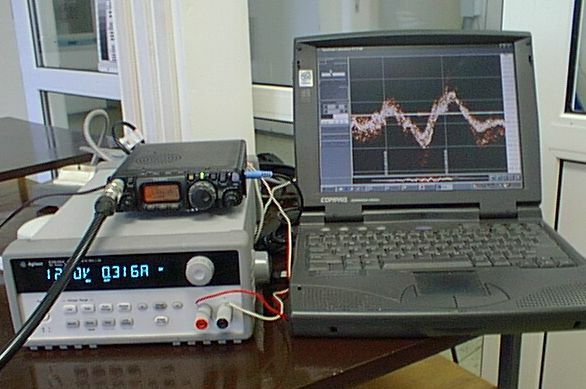 Portable set for beacon reception with record made by SpectrumLab software. 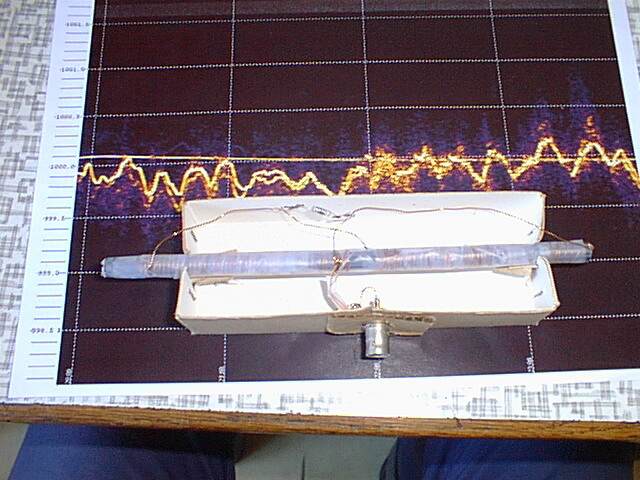 Experimental receiving ferrite rod antenna gives satisfactory signal too, but about 20dB weaker. 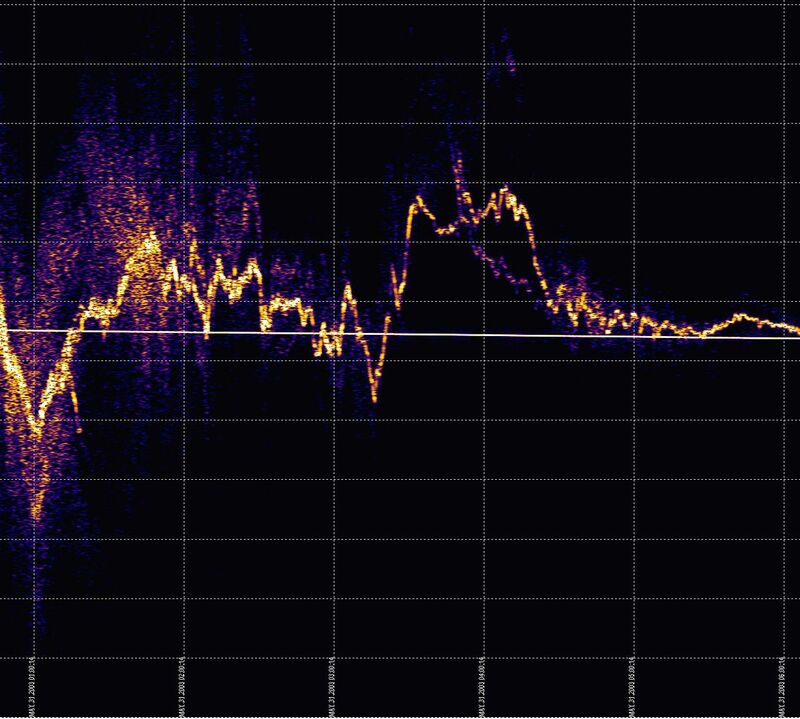 Beacon record at night and during morning partial Sun eclipse on May 31, 2003.